So I’ve been on a smoothie kick lately. I just really love getting a serving of leafy green veggies first thing in the morning! It’s pretty energizing. ALSO: I love knowing that I’m on track to have an amazingly healthy day! By having green veggies in the AM, I feel like I’m already ahead of the game! 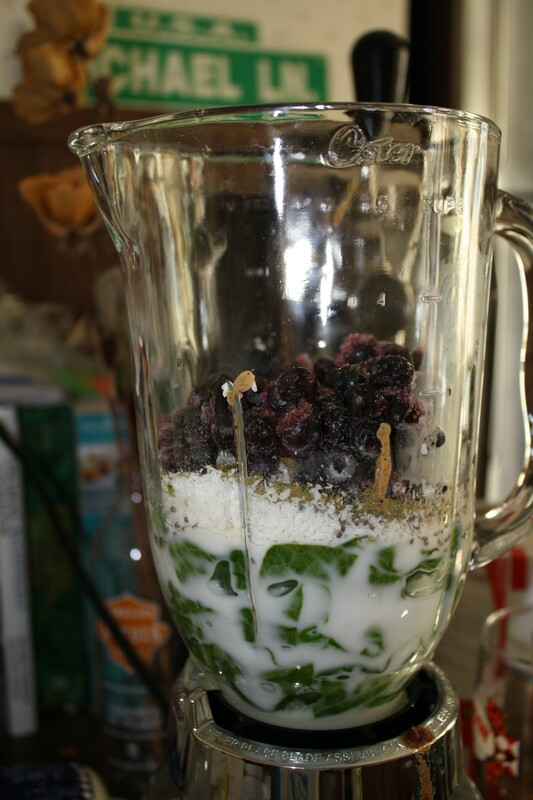 This smoothie was very similar to my last leafy green drink , except that I used baby spinach in the place of kale and I added one cup of frozen blueberries. 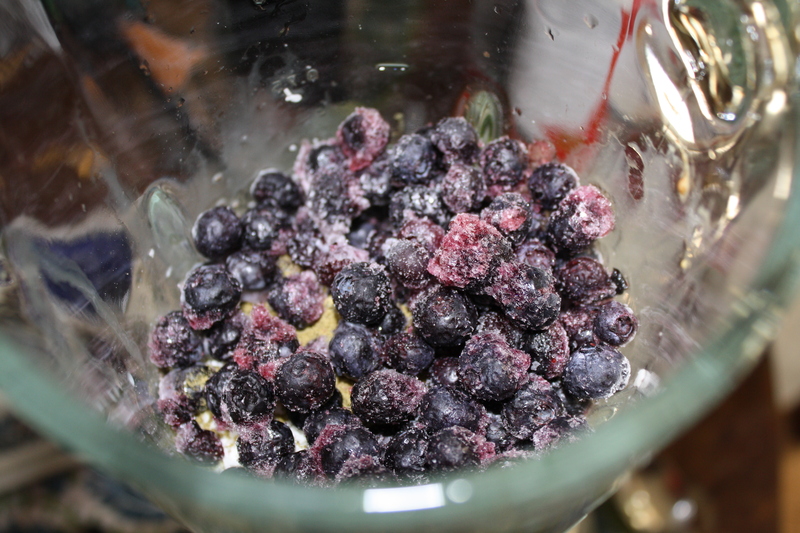 Nothing says “summer” to me like blueberries! 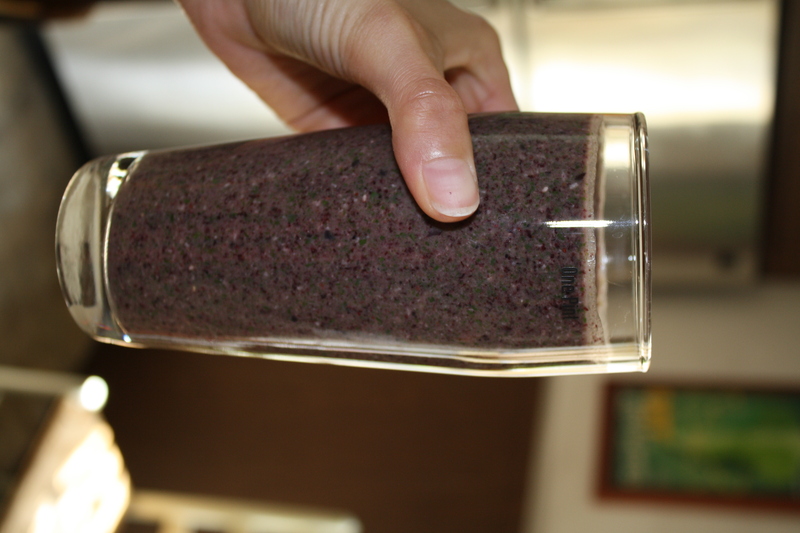 What could be better than real fruits and veggies in a glass? That sounds so good, I’m runnin’ out to the kitchen to assemble all the ingredients right now! 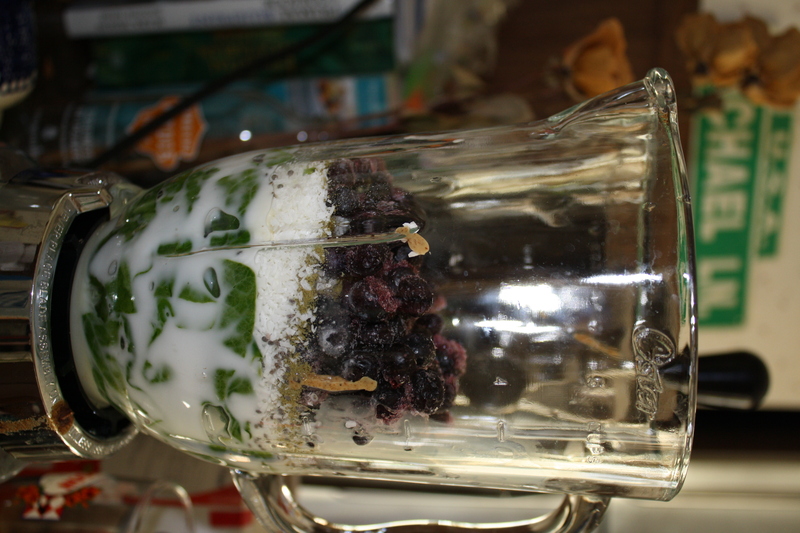 Thank you for a fantastic recipe idea that uses my favorite So Delicious Coconut Milk. And I love the cute play-on-words name: “Bluesberry.” So cute!!! But don’t steam the spinach! No need to do that. 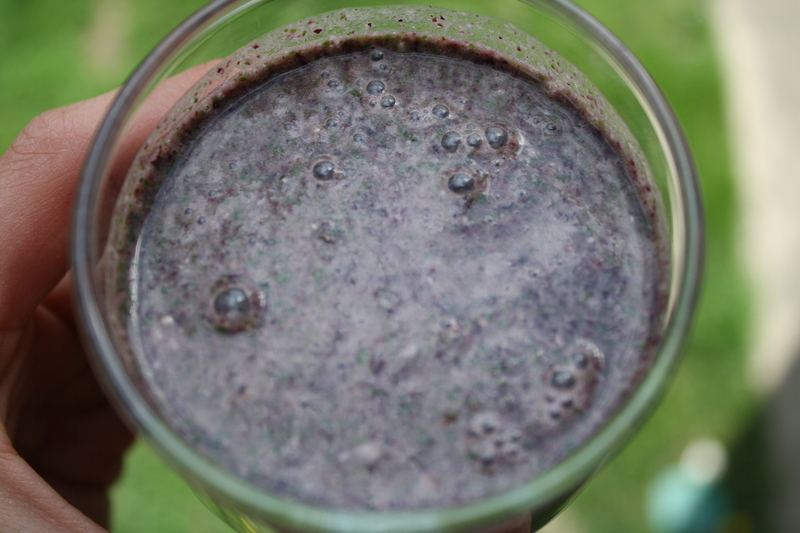 Raw is perfect in a smoothie. Thanks, Kathie! 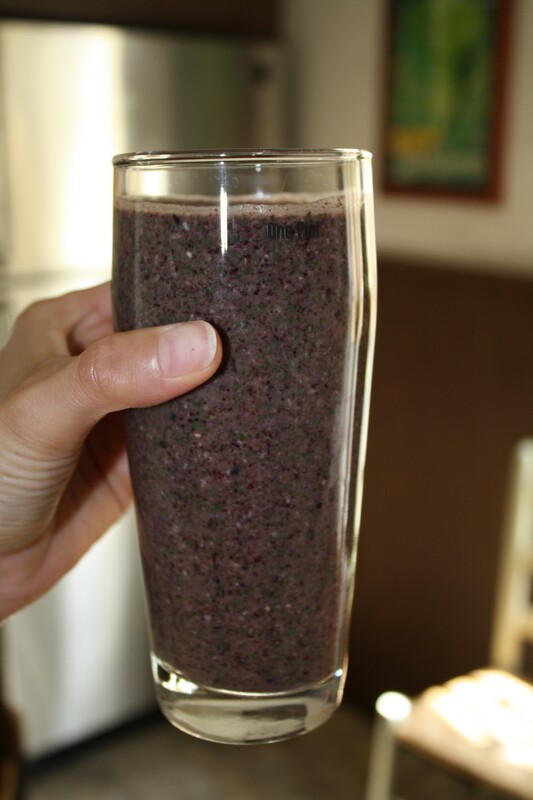 I like raw spinach in my smoothies too– I steam it very lightly to bring out a little bit sweeter taste, but I’ll definitely make it with raw spinach next time!